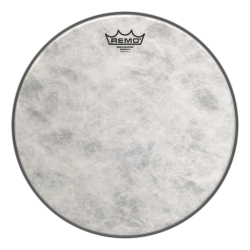 The Remo Diplomat Fiberskyn gives you the warm, midrange tone of calfskin. 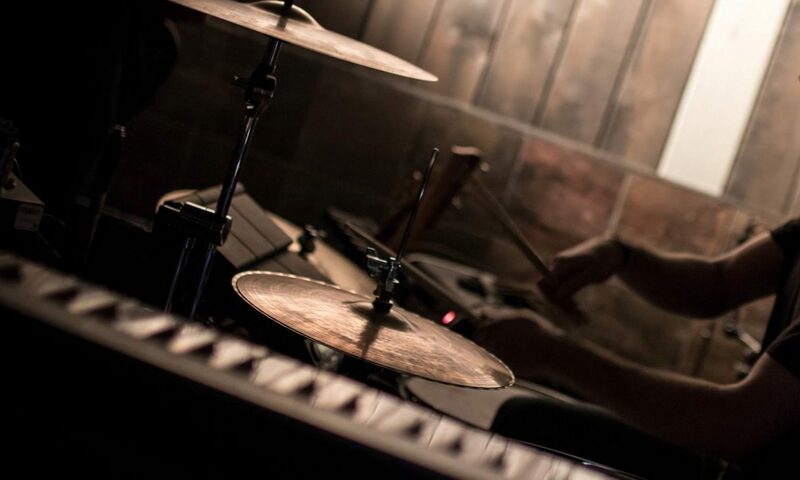 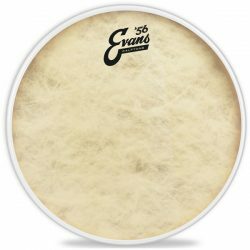 A very responsive drumhead with a full sustain – perfect for low and medium volumes, or studio recording. The Remo Diplomat Fiberskyn has a single ply of 7.5mil film, with a 3mil polyspun fiber coating laminated to the top. 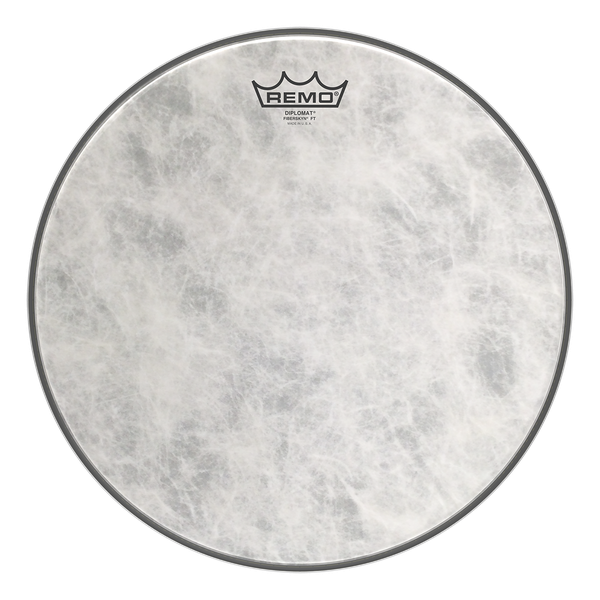 The top coating is designed to have the look, sound, and feel of calfskin, which gives a nice boost to the midrange and low-end frequencies. 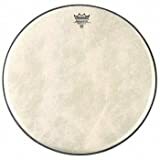 The result is a quite a warm sound for such a thin drumhead. 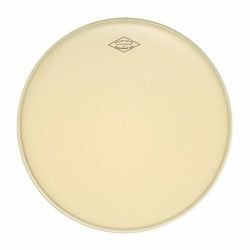 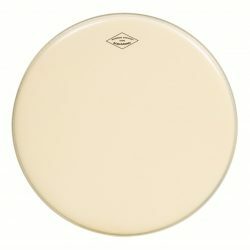 This drumhead has a nice sustain, with overtones slightly reduced thanks to the fiber coating. 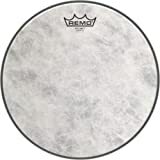 Excellent for light and moderate playing with both stick and brushes, the Remo Diplomat Fiberskyn performs well both live and in the studio. 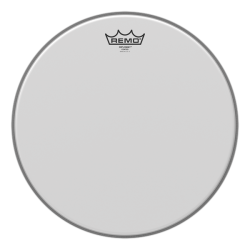 Compared to the Remo Ambassador Fiberskyn, the Diplomat version is slightly brighter and more sensitive. 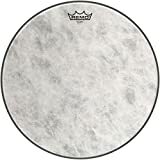 Remo Diplomat Fiberskyn Drumhead, 12"
Remo Diplomat Fiberskyn Drumhead, 16"